Trevor Peak spent £25,000 getting his teeth fixed in time for his daughter’s wedding – and soon feared that he’d made the biggest mistake of his life. 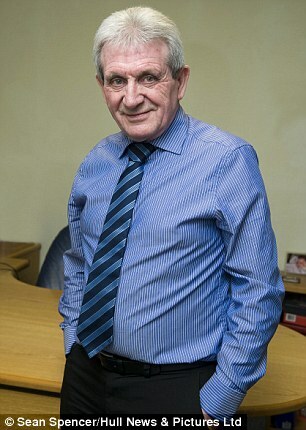 The 67-year-old company director from Hull had the top row of his teeth replaced with implants – seven titanium pegs, like artificial tooth roots, were drilled into his jawbone, then porcelain crowns attached to a bridge cemented on to the pegs. That was just the beginning of his problems. Over the next few years two crowns had to be pasted back into place – one was redone four times. It later emerged that the implants were never properly fixed into his jaw because there wasn’t enough bone there. Implants, which cost between £2,000 and £4,000 each, are regarded as the luxury end of the denture market. Not only are they aesthetically more pleasing and easier to eat with than dentures, they are also meant to be better for the mouth. Having an artificial tooth firmly rooted in the gum has been shown to reduce or even halt the bone loss and severe inflammation associated with having no teeth or wearing dentures. ‘The more you chew and bite, the stronger the jawbone is. 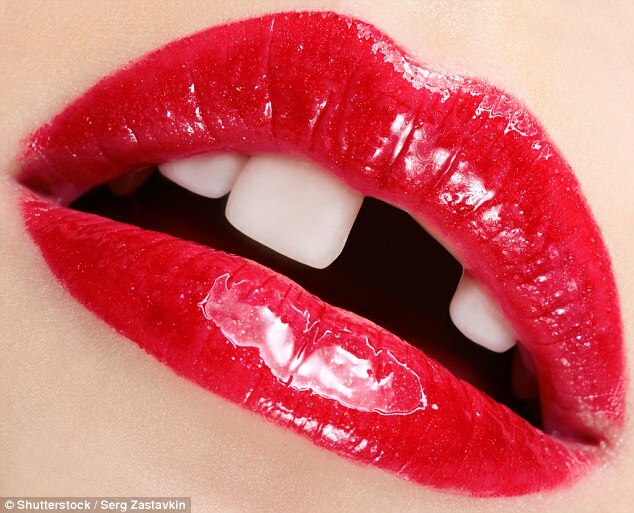 And because they are fixed in firmly, that works for implants, too,’ says Dr Michael Zybutz, a Harley Street dentist who specialises in dental implants and gum disease. Indeed, implants have increasingly become the upmarket solution for the ‘edentulous’ – people who have lost all their normal teeth – with implants supporting a whole row of crowns or bridges. For many people implants have been successful. Take Alun Banner, 53, a senior BT manager from Southend, Essex. Nine years ago he had ‘terrible’ gum disease. ‘I cleaned my teeth regularly, but I hadn’t been to the dentist for years. I didn’t quite look like a toothless tramp, but not far off,’ he says. Over 18 months, he spent ‘the equivalent of a small terrace house up north’ on having three dental implants, each supporting a number of crowns on the upper and low jaw. ‘Now I feel confident about how l look – and because I can eat what I like, my health is good as well.’ But is Trevor’s or Alun’s experience most typical? Over the past few months there has been concern – even panic – within the dental profession about the safety and longevity of implants. The University of Toronto’s Faculty of Dentistry has even started a course preparing dentists for the approaching ‘tsunami of failing dental implants’. Indeed, some are asking if extracting decayed teeth to replace them with implants, rather than doing fillings on the tooth or the root, is advisable. Recent evidence suggests that it may not be. Last year Dr Liran Levin, head of research at the School of Dental Medicine at the Israeli Institute of Technology in Haifa, looked at the survival rates of implants compared with decayed teeth that were treated. He found that while one implant in three fails within 15 years, just one natural tooth in five that dentists considered ‘questionable’ had failed after treatment. Even more surprising, as the Journal of the American Dental Association reported, only one natural tooth in three that dentists considered in an even worse state – ie, ‘hopeless’ – had failed within the timescale. The irony is that dentists have opted for replacing damaged teeth with implants ‘because they saw this as being cautious,’ says David Corless-Smith, of the Dental Law Partnership. While the dental profession acknowledges the seriousness of peri-implantitis, there are different views on what causes it. Some scientists insist new and virulent bugs develop in the crevices around implants. In 2010, Japanese scientists reported finding 112 types of bacteria in the plaque surrounding implants in three patients – and 22 were new species. However, the patients had only low levels of the common bacteria that normally cause gum disease. Other researchers, including Dr Levin, say that the bugs are the same but proliferate more quickly on implants. Another theory is that the real culprit is the dentistry. ‘This procedure used to be carried out only by specialists, practising to high standards and being particular about which patients were suitable,’ says Mr Corless-Smith. Careful selection of patients and a thorough training in post-implant hygiene are the key to successful implants, says Simon Nocton, of The Implant Surgery in Tower Hill, London. ‘Implants are an option only for patients who are obsessive about dental hygiene,’ he says. Alun cleans his teeth four times a day and sees a hygienist at least every four months. ‘I’ve paid for these teeth and I’m not going to lose them,’ he says. Specialist implant dentists claim success rates of nearly 100 per cent. But according to Dr Zybutz, some may have done only a weekend course before putting in their first implant. As Trevor has learned from bitter experience. In May 2012, specialists at Leeds Dental Institute examined him and found peri-implantitis had caused 75 per cent further bone loss around his implants. In fact, Trevor thinks the dentists who did the implants knew there could be a problem. After his teeth had been extracted, they said there was insufficient jawbone to hold all the implants and asked him to agree to have extra bone surgically removed from his thigh and grafted on to his jaw. Trevor was also still smoking at the time, which can prevent gums healing properly. ‘Yet neither dentist asked me about smoking or advised me to stop,’ he says. He now manages with false teeth attached to a plate, which restricts what he can eat and makes it hard to talk. He has been awarded damages – and his local dental hospital has just offered to help get the implants right.